According to the photo description on the Hoppus On Music Facebook where it was announced, the two will be exploring the "Orange Country [sic] music scene." 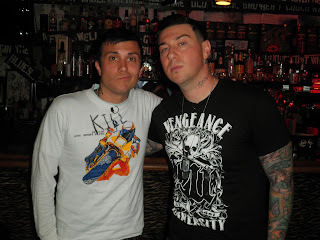 On March 6, Zacky Vengeance originally tweeted a picture with Frank, presumably from the day of the shoot, captioned "Up to no good..,"
Because the time the episode is set to air aligns, some fans are speculating that it is what Frank's countdown concerns; though, there is nothing to prove or disprove that theory. Fuse has added video clips from the upcoming program. In them, Frank interviews Zacky Vengeance. Is Vulnerable a bad album? No. 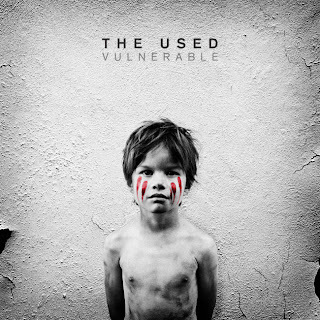 However, by the standards The Used have built, it’s somewhat disappointing. Yet another Glimpse at My Chemical Romance working on new material? In case you've missed it, Frank has posted additional photos, and a new photo album on the band's Facebook page has been added to keep tabs on all the studio pictures the guys post! Check out the "Untitled Album" on Facebook! He also tweeted a picture of several discarded setlists. 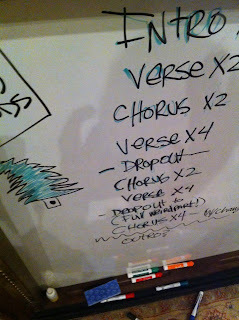 Last Thursday, Frank posted a different picture of a whiteboard with a computer in the background. 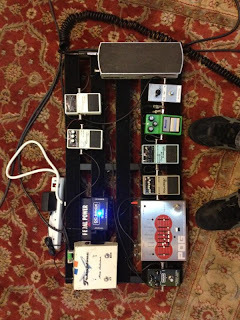 The Thursday before that, Ray Toro also posted pictures that appeared to be from a studio. 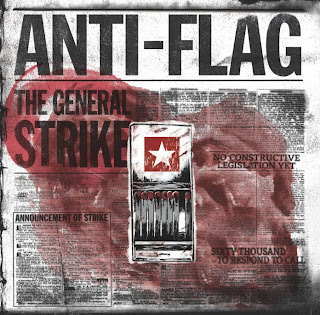 As long as there has been something to question in the band's lifespan, Anti-Flag has been there to question it. That still rings true on The General Strike. Deadmau5 collaborates with Gerard Way on "Professional Griefers" ? I was informed earlier this week by the lovely MCRupdates that rumors were rampant online about a Deadmau5 collaboration with My Chemical Romance vocalist Gerard Way. Though Deadmau5 first gave a preview of the song in December, it was following a recent livestream during which the popular electronic artist worked on the vocals for his track "Professional Griefers" that fans began to speculate. To any My Chemical Romance fan, the sound of that voice is unmistakable. However, details of the collaboration are sparse and nothing has been officially announced. Deadmau5, who all-but-confirmed that it is Gerard in this tweet says that he's not upset people found out about the collaboration, but is "pissed about the quality of a rip." Another Possible Glimpse of My Chemical Romance creating Next Album? My Chemical Romance guitarist Frank Iero has posted a photo with the caption, "Things is happenink!" that looks suspiciously like it could be (though has not been confirmed to be) My Chemical Romance's working on their latest album. The photo shows a computer and the top portion of a whiteboard with visible text: "PIANO BREAK" and what look like note names. 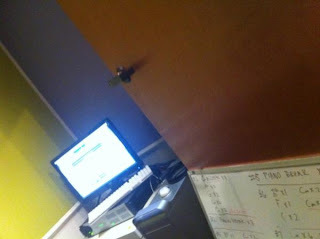 Last week, MCR guitarist Ray Toro also posted photographs that look like they could be glimpses of the band in-studio. Those who were around during the creation of what became MCR's pre-Danger Days... scrapped album may recall that the band used whiteboards then to sneakily give away potential song titles. When photographer Allan Amato posted, "Just wrapped a lovely shoot experience with My Chemical Romance in old man pajamas..." MCR fans were--to say the least--intrigued. It has now been revealed that said shoot was for the benefit of the organization Illuminate Parkinsons, which aims to raise awareness about Parkinson's Disease and funds for charities. 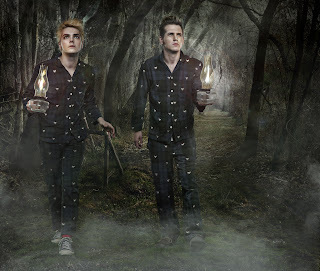 The photograph (above) of Gerard Way and Mikey Way is one of many by Amato that will be featured in a traveling Illuminate Parkinsons gallery show to raise awareness for Young Onset Parkinsons. Prints of the photo will also be sold to benefit the cause. Check out Illuminate Parkinson's Kickstarter page to contribute!